Programmes may include recordings of pirate radio in the Merseyside area plus documentaries, DX programmes and other features. Central Radio founder Jim Brown has died on 10 November 2017 aged 68, after a long battle with Cancer. 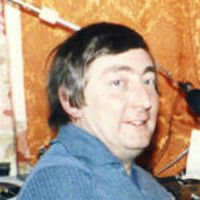 Jim, (or Kev, as he was known to his friends) has been involved in free radio since the late 1970's and started Central Radio on Mediumwave in the '80s. Central has been on FM from the 90's to the present day. You can now download the Mersey Retro Android App here. This is an unofficial app and may not install on Android devices unless you change the security settings and enable the 'Unknown Sources' button. The DX Program is now on after 1000 UTC Fridays to Mondays for listeners in North America. Schedule includes Glenn Hauser's World of Radio, AWR Wavescan, Frequencycast, The Radio Today Program, and Australian Dx Report, This Week In Radio Tech, plus occasional documentaries.